At the end of August fifty years ago in 1965, my parents flew with me in a TAN propeller plane to Miami, from which we took a Northeast Airlines jet to New York City. These were my first plane flights, and immediately the experience had intimidated me. But, that August day had been so exciting and exhausting, I fell asleep in the jet from Miami to New York. I woke as we were coming in to land. The lights of New York City were spectacular. In Brooklyn, we stayed with my grandaunt, the late Gladys Lindo Ysaguirre. She lived on Rutland Road, near the George Wingate High School and just two houses down from where the late Rev. Gerald Fairweather, Compton Fairweather’s father, lived. Around the lane and a block away around the lane down Midwood Street Bill Lindo lived, along with his mother and stepfather. This was right at the back gate of Brooklyn’s famous Boys High, where Kareem Abdul-Jabaar (then Lew Alcindor) went to high school. Bill was going to Wingate. After a week in Brooklyn, I flew to Corning, New York, along with about twelve other foreign students on what the United States’ State Department called an “orientation” trip. We each spent two weeks with an American family, before we returned to New York City and travelled to our various universities. In my case, after riding the subway train from Brooklyn, I took the bus from Manhattan’s Port Authority bus terminal to White River Junction, Vermont, where a senior student from Dartmouth College, one Jim Byers, picked me up and drove me the four or five miles to Hanover, New Hampshire. My single dormitory room was 201-D Bissell Hall, where I would live for the next three years. The campus was empty, because it would be a week before the freshman students arrived, and another week before the rest of the students did. Only Dartmouth’s few new foreign students were on campus. That first evening in my room was very, very lonely. I felt like crying. Growing up in Belize, I had a lot of self-esteem. The likelihood is that at some point the Jesuits at St. John’s College concluded, in fact, that I had too much. It is possible that the Jesuits were correct in their assessment of yours truly, but my self-esteem would not have been a problem until they realized that I had no intention of becoming a priest. In Belize, I was understood to be a Creole, a member of the then majority ethnic group who were a mixture of mostly African, some European, and whatever. Belize was pretty much cut off from the Central American republics around us. We had weekly flights to Miami and New Orleans, and even a weekly flight to Jamaica, but there was only one radio station. The radio station was government-controlled, and the foreign news came from the BBC and the Voice of America. My point is that we Belizeans knew very little about the rest of the world, and how we Belize Creoles fit into it. We were so innocent that the “British subject” brand which was printed inside our British Honduras passports was not offensive to us. Even though the majority of Belizeans wanted to be independent of the British, there were serious aspects of colonialism to which we had become accustomed in Belize. The most serious aspect of colonialism in Belize was absolute ignorance of Africa. Amongst us few foreign students at Dartmouth in September of 1965, there were two Africans – Saleh Jibril from Nigeria and Guy Mhone from Malawi. They were a few years older than I, and very different in personality. Saleh was stiff and reserved; I believe he was a Muslim. After Dartmouth, he became a banker in his home country. Mhone was cool, so cool he seemed to me more Caribbean than African. We became very good friends, and did a lot of drinking together. It was many years after I left Dartmouth that I first began to wonder why our foreign student adviser at Dartmouth was an officer in the United States Army – Colonel Harold N. Moorman. He was a really nice guy, but an army colonel at a liberal arts Ivy League college in the American northeast is not a concept that just jells. Dangerous things were beginning to happen in the United States around the same time I started school there. The Vietnam War had begun to escalate, and the black civil rights struggle was moving from the foundation era of non-violence into self-defence by any means necessary, including violence. I did not immediately become militant. To my mind, I had barely managed to get out of Belize after the Jesuits and I began to have problems. I was much grateful to the United States government for giving me a scholarship. I didn’t know anything about the Central Intelligence Agency (CIA), or how the State Department fit into American foreign policy, so I had no idea that there was a calculated reason why I had been so fortunate as to receive the first full university scholarship the United States government had ever given a Belizean. There was an Afro-American Society at Dartmouth, to which Mhone and I were invited. But, the Afro-Am’s focus was all on the black American civil rights struggle, and Mhone and I soon drifted away. No one in the Afro-Am had any time for Malawi or Belize. There were black Americans, first and foremost. I think it was in the spring of 1966 in Mississippi that Stokely Carmichael first made the call for “black power,” and he visited Dartmouth to speak not long afterwards. I was impressed with Stokely, and liked him a lot. But I really wanted to stay out of American politics and activism. When I returned to school in September of 1966 after spending the summer in Brooklyn, I became the only black student in a white fraternity – Zeta Psi. I was good friends with a white student, Steve Cline, across the hall from me at Bissell, and we joined Zeta Psi together. Zeta was a drinking fraternity, and I was doing a lot of drinking. An event in the winter of 1967 changed things, in the first instance. The segregationist governor of Alabama, George C. Wallace, visited Dartmouth to speak, and the Afro-American Society raised a ruckus. Some black students at Dartmouth essentially risked suspension or expulsion. The mood in white Zeta Psi was not favorable to the militancy of the black students, and at this point it seemed to me that I had to take sides with my black American brethren. I would say it must have been a while after that when Mhone loaned me Malcolm X’s autobiography. I read it in one night, and it changed my life. Reading Malcolm, I understood a lot of things I hadn’t understood before. By early 1968, it was as if things were going crazy. First there was the Viet Cong’s Tet offensive which showed that the United States, contrary to American military propaganda, was losing the war in Vietnam. Then Bethuel Webster’s Seventeen Proposals were officially released. This proved that Belize was being sold out to Guatemala. In early April, Dr. Martin Luther King, Jr., was murdered. Violence erupted in almost all major American cities. As if all this was not enough, Bobby Kennedy was murdered in June, a couple weeks before I graduated and returned home. 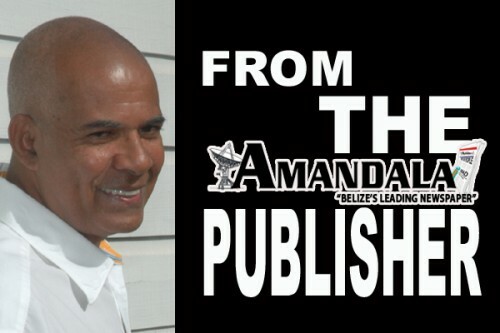 Fifty years after I left Belize for America as a young innocent, lots of things have changed. A lot of young Belizean blood has been shed. One thing remains the same: they still want to sell us out to Guatemala. As it is said: same circus, different clowns.